Bring a little life to your room with this spirited vinyl artwork. This snowboarder is up in the air and ready to take some chances with his talent and love of this extreme sport. 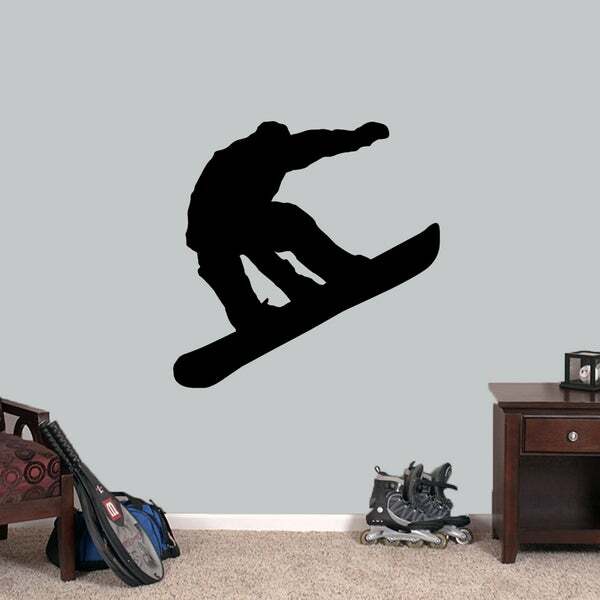 The snowboarding wall decals will look great in any room occupied by the winter sport enthusiast. Place this decal in your kid's room or man cave. ?This size will come in more than one piece for easier application.